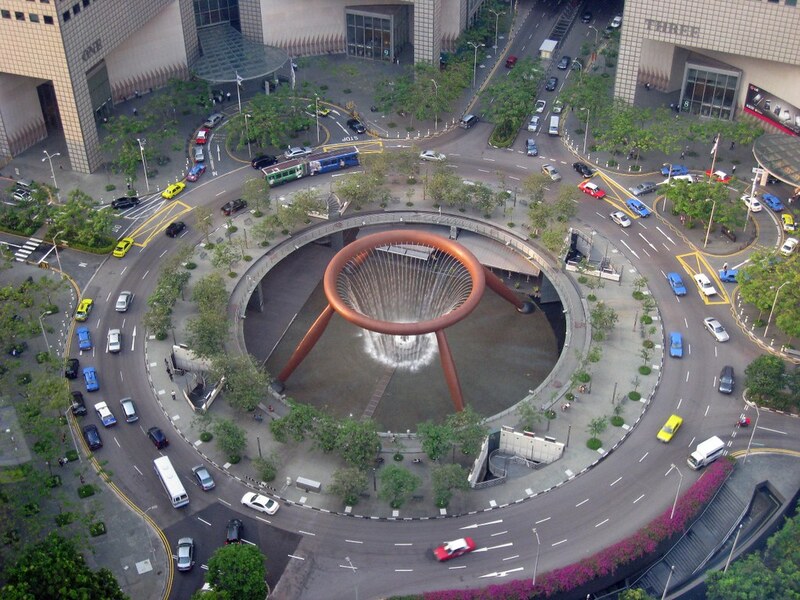 Traffic circles are great at preventing fatal wrecks. But what can be done about the crashes they do provoke? Roundabouts are easy to love. They’re elegant in design, reduce traffic deaths compared to traditional intersections, and can support some gnarly public art. But Americans hate them anyway, and one reason may be becoming clearer: While roundabouts are great at preventing serious crashes, they may bring on more non-fatal wrecks, to believe the latest in traffic-circle research coming from the fecund roundabout reserve of Wisconsin. Past monitoring of 30 of the state’s 300-plus roundabouts revealed these particular intersections, which used to be traffic-signal controlled, experienced a 38 percent drop in car deaths and injuries. At the same time the total number of crashes jumped 12 percent. These additional accidents caused mainly property damage, and are thought to be a result of confused or unprepared drivers trying to navigate the unfamiliar roadway design. Beau Burdett and other researchers from the University of Wisconsin-Madison have attempted to elucidate just what happens when a ride around the circle goes pear-shaped. They pored through six years of accident data from 53 Wisconsin roundabouts and found a couple of interesting patterns, which are described in the Transportation Research Record: Journal of the Transportation Research Board (unfortunately behind a paywall). Burdett and crew focused on crashes involving single vehicles—such as when somebody suddenly careens off the shoulder—which have an oddly high occurrence at roundabouts. Between 30 to 50 percent of accidents at single-lane roundabouts around the U.S. have involved lone vehicles. In the Wisconsin rotaries Burdett studied, they made up roughly 30 percent of crashes. Two of these were fatal, with one incident involving an impaired motorcyclist and another a driver tossed from a vehicle during foul weather. Single-vehicle wrecks had a variety of causes, including drunk or distracted driving, poor road quality, animals in the road, slippery gravel, and motorists swerving to avoid other cars. But the biggest prompter of accidents was the weather, whether it be rain, snow, fog, or black ice. Weather accounted for more than a third of single-vehicle crashes, followed by impaired driving at 19 percent. None of these insights are meant to further demonize the already-polarizing roundabout, or deny its proven trauma-preventing, traffic-calming benefits. Some people (especially drunk ones) are just not very good at driving in a circle. But, as Burdett’s group notes, there “is still room for improvement.” They recommend that cities make roundabouts conspicuous well before drivers reach them, and by posting speed-limit signs to remind drivers that the laws of physics still apply within their circular confines. Another trick: landscaping the centers of roundabouts, which they say is an effective (and pleasing-to-the-eye!) way of grabbing motorists’ attention before they sail off the road.